She is sometimes confused with Nancy MILFORD. Be careful not to combine the two. Thank you for your help. Nancy Mitford , Madame de Pompadour. 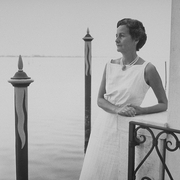 Nancy Mitford came from an aristocratic background, which she enjoyed satirizing (along with snobs and social climbers). Many of her works were witty and worldly observations of English and French society and manners. She began writing fiction and moved on to biography and history. She was one of the six Mitford sisters, whose lives and activities fascinated the public. Nancy Mitford is currently considered a "single author." If one or more works are by a distinct, homonymous authors, go ahead and split the author. Nancy Mitford is composed of 19 names. You can examine and separate out names.